users. We’ve redesigned the page to simplify the visual appearance and make it easier to manage your apps, bookmarks, and most visited sites, so you can get where you’re going as quickly as possible. 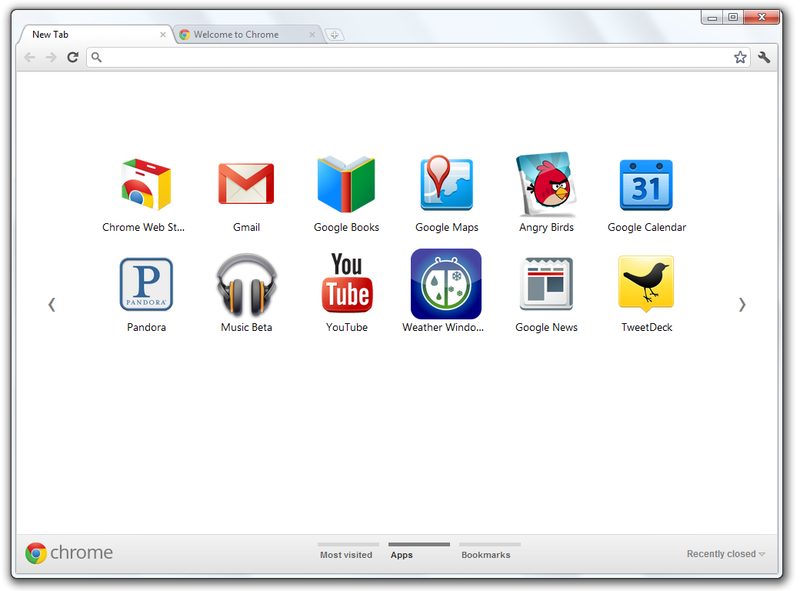 Your apps, bookmarks, and most visited sites now appear in three different sections on the page. You can flip between these different sections by clicking the section labels at the bottom of the page or the arrows at the side of the page. Chrome will remember the last section you flipped to and return to it when you open a new tab. To rearrange apps, just drag and drop them on the page. To create a new apps section, drag an app to the bottom of the page until a new apps section appears. You can rename this section by double-clicking the label. For example, you can create a section of apps for “Work” (full of productivity apps) and a section for “Play” (full of games). To remove items from any section on the page, start dragging them to the bottom right of the page. A trash can will appear, where you can drop the item to remove it. To see the tabs you’ve just closed, click “Recently closed” on the bottom right of the page. We hope you enjoy the new look and feel of the New Tab page. 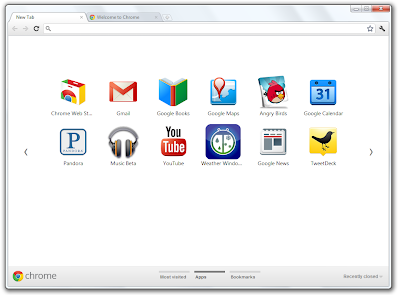 To browse thousands of new apps and games for the page, visit the Chrome Web Store. Today, we’re excited to share a revamped New Tab page with our Chrome Beta channel users. We’ve redesigned the page to simplify the visual appearance and make it easier to manage your apps, bookmarks, and most visited sites, so you can get where you’re going as quickly as possible.